I intended to compose (not music, but rather this article) in the sierra mountain village of Mexiquillo Durango, Mexico last week, until a power outage left me with my thoughts to ponder in the darkness. Although the glow from the fireplace lit by my fellow campers (motorcycle aficionados- not classical music devotees) only softly illuminated the paper on which I had been notating adventures lived while devoted to playing the flute transnationally, the warm jovial conversation shed light on many facets of my career as a flutist. While other campers romped through mountains on their motor bikes, one gentleman stayed back at the cabin in case I needed anything. Although I was obliged by his attentiveness, I confess I secretly prayed for a way to silence the CD of brassy Mexican “banda” music he demonstrably enjoyed. I certainly wanted to avoid complaining since I was the only ‘señorita’ allowed at this type of event in history. I didn’t want to appear as a stuffy classical musician! Some orchestra colleagues – a talented Georgian pianist and her oboist husband coincidently came to escape music and enjoy the September Mexican Independence Day weekend in the cabins down the path in peace and quiet. Without any alternatives in the listening music repertoire, my friends joked my prayer was answered with lightning literally striking in front of our cabin causing a black out for two full days! Most fellows enjoyed their jokes while cooking out around the fire yet one friend started a deeper conversation about my solo concerto. He had not attended many live orchestra concerts, but he perceived my desire to express something special to the audience a few days prior in my performance of Zyman’s Flute Concerto. He enjoyed listening to a few impromptu songs I played at the cabin, mentioning a connection felt as I played ‘from the heart’. I told him that is precisely why I perform music. When I graduated with my master of music from the University of Michigan as a young lady, I enjoyed playing in several area orchestras as well as teaching many students. Nevertheless, I was willing to give them up to explore new territories in pursuit of a full time orchestral career. That is why when my teacher Leone Buyse called me with a job opportunity as principal flutist of the Barranquilla Symphony in Colombia, I knew it was a matter of how fast I could pack my bags, grab a Spanish dictionary and hop on a plane to an unknown land. My concerned mother warned Colombia could bring hardships such as encountering a tarantula (I did end up seeing a few) or a more dangerous animal such as the ‘guerilla’ (not the animal ‘gorilla’). In Popayan, Cauca where I taught flute at a branch of the national music conservatory, one recital was canceled three times due to political unrest. When the atmosphere settled, we finally performed and it was magical! People were crammed into the concert hall so tightly they had to sit in the aisle on the floor. I personally saw the opportunity living in Latin America to perform in an orchestra also as a means to visit interesting places. 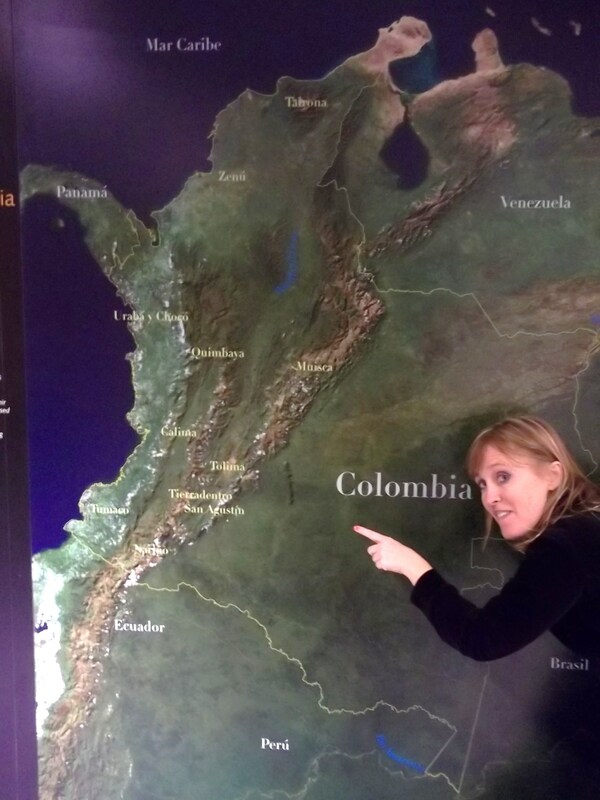 While working as the principal flutist in the orchestra of Cali Colombia I headed south to see the equator while performing as a guest for a flute festival in Quito, Ecuador and further south to visit Machu Picchu after my flute festival recital in Lima, Peru. As a Siren at heart I am definitely a water lover. When I moved to Acapulco to become principal flutist of their orchestra, I was delighted to live by the beach. I also had the opportunity to visit a friend in Panama I met along the way. It was I who convinced this friend to not only to travel to The San Blas Islands off the coast of The Darien Gap, but also to swim from one island to another and back – fortunately avoiding sharks! While I was in San Salvador as a soloist with the National Symphony of El Salvador, I was invited to the ocean by the clarinetist and his viola player wife whom brought along young people from a hearing impaired missions group for which they volunteered. We enjoyed a day at the beach and later that evening they even went to watch my performance of Nielsen’s Flute Concerto – ecstatically sitting in the front row watching the orchestra’s movements, seeing the conductor, feeling the musical vibrations and a few were even able to slightly perceive sounds of loud accents and fortissimos! 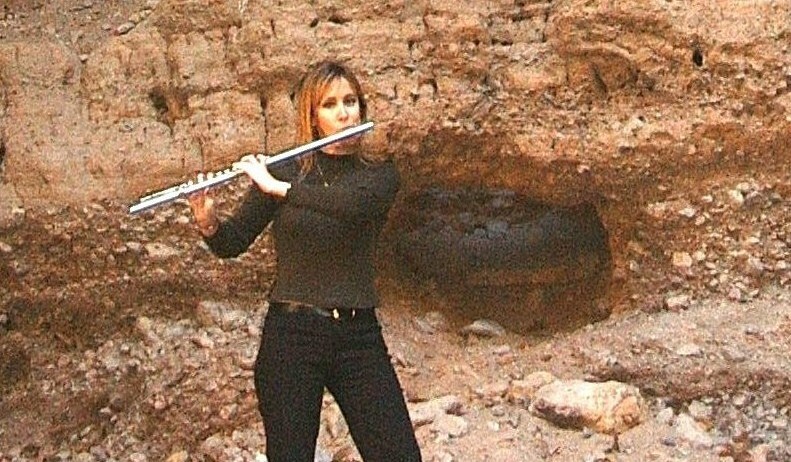 When I thereafter accepted a job offer to become the principal flutist of the orchestra in the northern desert area of Chihuahua, Mexico, I was focused on being close to ‘home’ – the U.S.A. I still enjoyed the area, visiting Copper Canyon and I even made a CD Canyon Echo inside Namurachi Canyon of solo flute repertoire with all natural affects that actually occurred at the moment of recording. Unfortunately, not every story had a happy ending. The town where I live now suffered some terrible years of extreme violence for which no one could have prepared. Shootouts were a daily occurrence. People feared for their lives. Two lives of people I cared for were lost in the violence. At that point I was ready to return to the USA regardless of having a music job lined up or not. Somehow I ended up staying though. I’m not sure how I managed other than by the Lord’s blessing of music and sharing it with people. Maybe I was touched by the gratitude in an eighty year old lady’s eyes as she told me it was the first time she had ever seen an orchestra when we performed in the outskirts of a Mexican town. Perhaps I felt I was exactly where I was supposed to be when a friend’s elderly ailing father was inspired by my flute playing to play his guitar at their family gathering in Torreon and that would be the last time he played before departing from this world. Possibly my music contributed to a more profound purpose in facilitating things such as ‘new beginnings’. In northern Mexico, a student’s parents were separating but her mother agreed to attend her father’s church once with the sole purpose of hearing me perform that evening. Something wonderful happened at the service and she continued to attend so regularly with her husband, they reconciled! I am not sure how much longer I will stay in Latin America. I have a great desire to finally return home and I believe my experiences have helped me acquire much to share via performing as well as teaching in my homeland of the USA. I am thankful for the sustaining hand that has kept me safe during my wonderful journey. When I left Michigan as a young flutist, someone told me my road would be winding but would be paved with gold, and that it certainly has been. 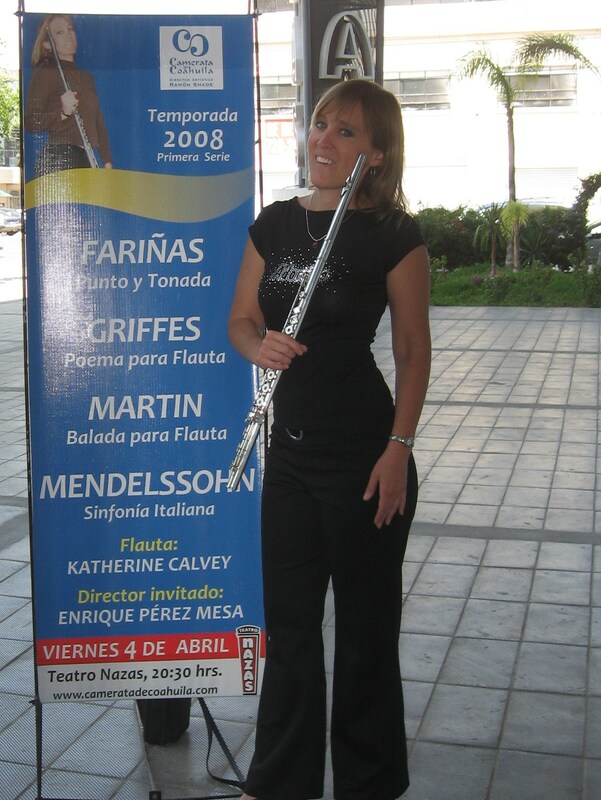 Principal Flutist – Camerata de Coahuila in Torreon, Mexico. 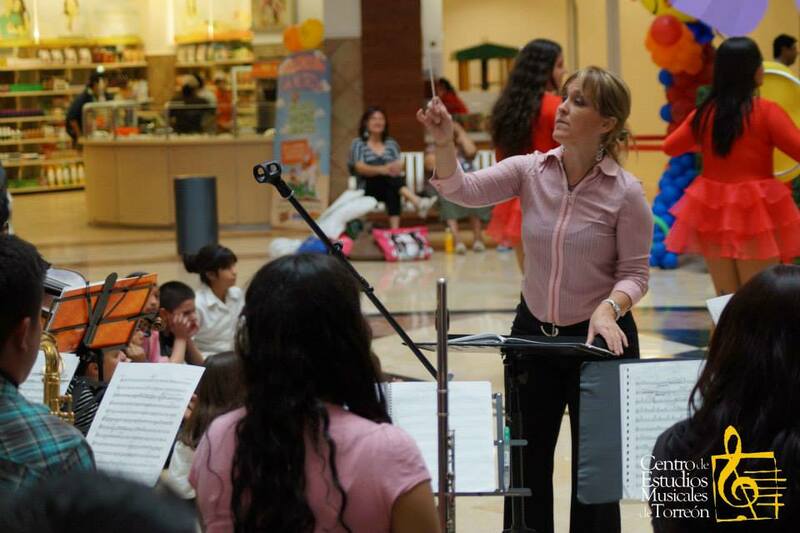 Orchestra Director of the Centros Estudios Musicales de Torreon music college. “Canyon Echo” CD’s of solo flute repertoire recorded live in Namurachi Canyon Mexico or for “Silent Night” CD/ classical flute and guitar duo. 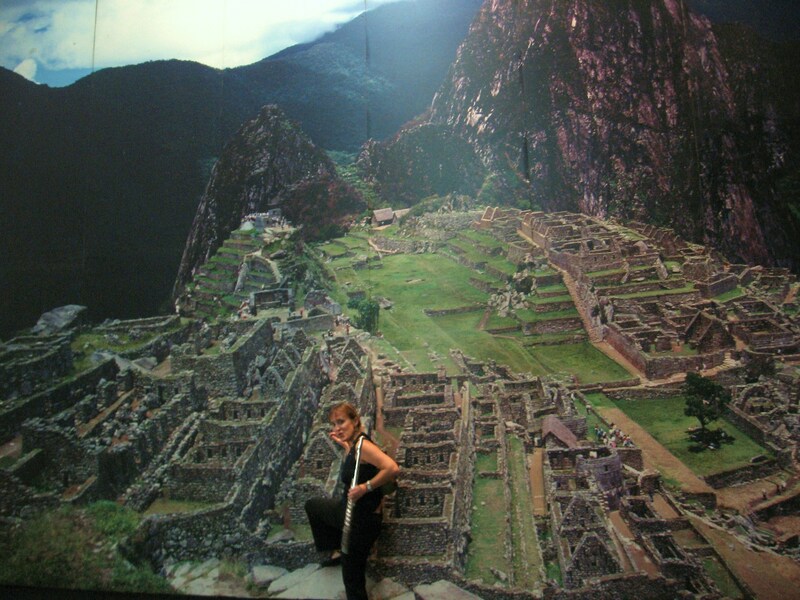 “Road Paved of Gold” book of more detailed adventures during the travels of flutist Katherine Calvey. Anticipated release 2017. *Katherine has always found a road leading back to Flute Specialists to have her flute maintained or repaired by Robert Johnson for the past twenty years! Flutist, Katherine Calvey began her studies with various members of the Cleveland Orchestra, (William Hebert & Jeffrey Khaner) while playing in The Cleveland Orchestra Youth Orchestra, directed by Dr. Jahja Ling. She received Master Classes with flutists Julius Baker, Robert Willoughby and James Galway. She graduated with a Bachelor of Music degree in Flute Performance from The Peabody Institute of Music as a student of Mark Sparks and a Master of Music degree from The University of Michigan where she studied as a full scholarship student of Leone Buyse. Katherine won first place in various music competitions including The Littmann Music Competition/ New York and The Mid-Atlantic Flute Competition/Washington D.C amongst others. She has performed as a concerto soloist with international symphony orchestras in Central America, South America and in North America (Mexico & the USA) and has enjoyed performing recitals in places such as Curacao, Hawaii, Italy etc..
Ms. Calvey’s orchestral career includes important concert venues such as Carnegie Hall with The National Youth Guild Orchestra and Europe with The American Wind Symphony. She has also performed as a member of orchestras in Colorado, Michigan and Ohio. 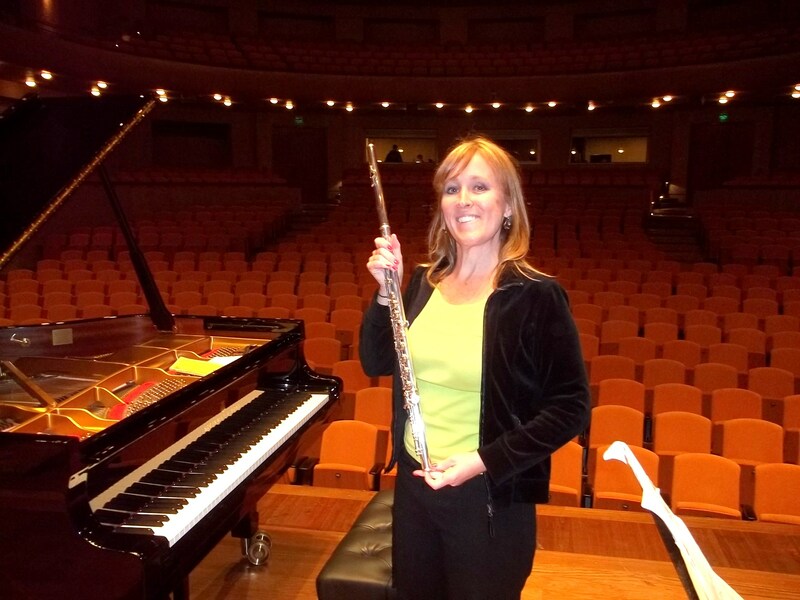 She has served as the principal flutist in a variety of orchestras in Colombia, Mexico and China. Her current position is principal flutist for The State Chamber Orchestra of Coahuila, Mexico. Katherine has actively served as a flute professor; head of wind instruments departments; and has been a college conservatory orchestra conductor. She is proud that all her students have either won competitions; orchestral positions or are successfully employed in music. She has given master classes in China, Colombia, Ecuador, El Salvador, Europe, Peru, and the United States.